"During a timeframe when only a handful of journalists even attempted to witness the Cambodian war, Ken Guest traveled further and undertook more jungle treks than any other. The photographs in this book are compiled from trips made with Cambodian guerrillas between 1985-93. They comprise a unique record of a hitherto almost unseen war in a country then isolated from and untouched by the outside world. 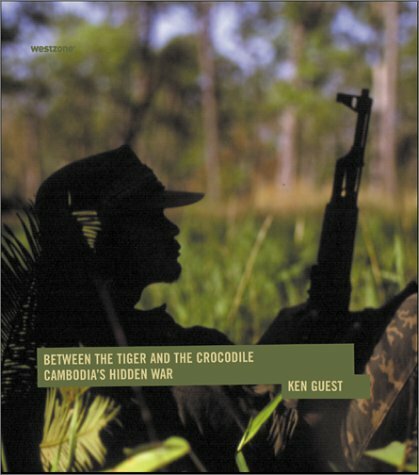 The book's title evokes Cambodia's geographical and political entrapment between the Tiger, Thailand and the Crocodile, Vietnam. The photographs and the written vignettes which accompany them form a personal interpretation of Cambodia as Ken Guest saw it. These are the Khmers as he found them and knew them; their war as he experienced it. "-the publisher.